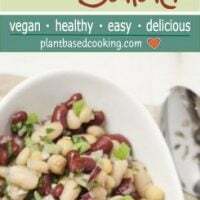 This delicious mix of plant-based goodness is sure to satisfy your craving for the traditional three-bean salad, which is typically made with lots of oil and sugar. 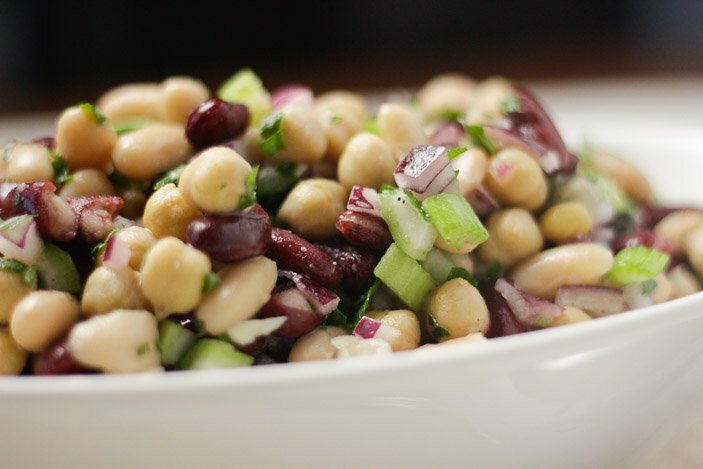 But this three-bean salad is the bomb, because it tastes great and is much healthier for you! I can’t say enough good things about beans. 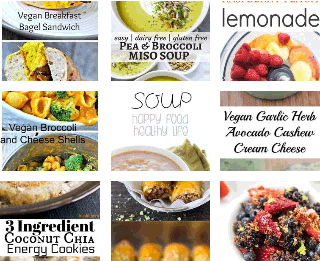 First, they're on Dr. Joel Fuhrman’s list of the “most nutrient-dense, health-promoting foods on the planet.”* His list has the acronym, G-BOMBS – Greens, Beans, Onions, Berries and Seed. He recommends that you eat these foods daily, and this three-bean salad is a great way to do just that. 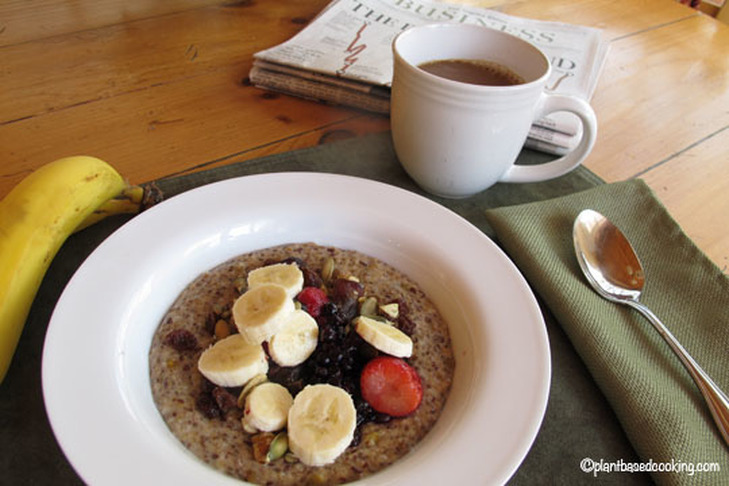 Beans and other legumes act as an anti-diabetes and weight-loss food. They are digested slowly, and thus stabilize your blood sugar. 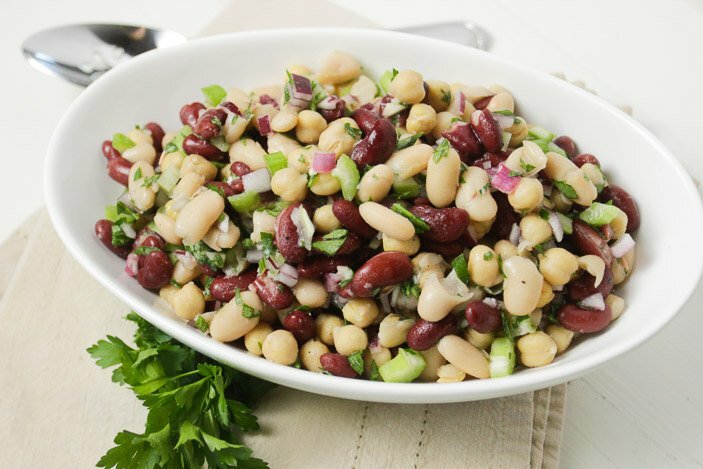 To make this three-bean salad, you can use any of your favorite beans, canned or freshly made. 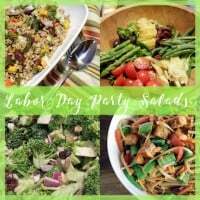 The traditional unhealthy three-bean salad recipe used green beans, and that's an option as well. I like to use kidney, white or black beans, and chickpeas. Then I spice them up with some red onion, chopped celery, and parsley, or even cilantro. 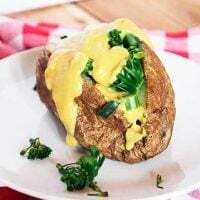 The dressing is traditionally made with a lot of white sugar, but for this version, we'll substitute white sugar with either maple syrup or your favorite substitute sweetener. For a granulated sugar substitute, erythritol is the best according to Dr. Michael Greger of Nutritionfacts.org. 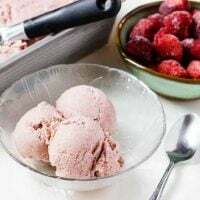 Watch his video, Erythritol May Be a Sweet Antioxidant, to get the lowdown. 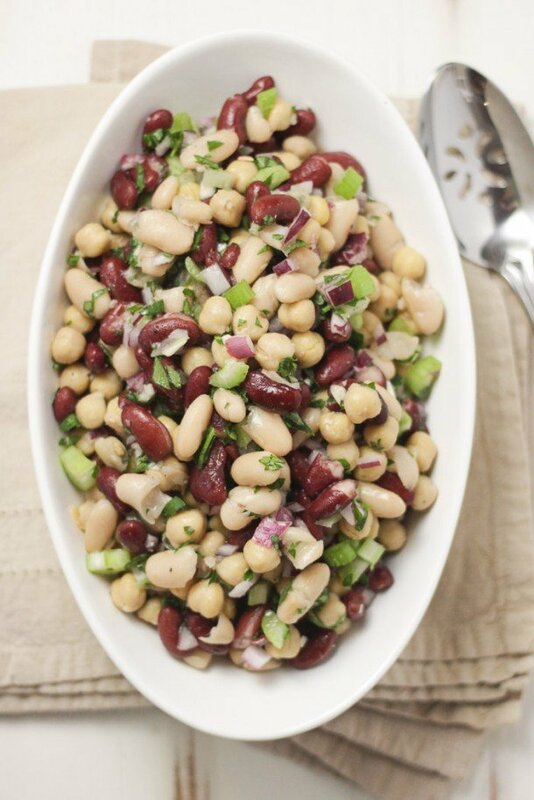 Try this easy bean salad and increase your consumption of beans daily. I'd love to hear your feedback in the comments below for this Three-Bean Salad! 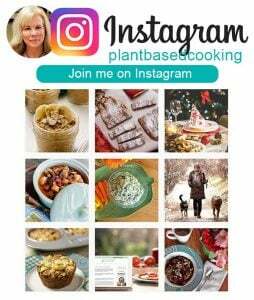 If you have a photo and post it on my Facebook page, tag me using the hashtag #plantbasedcooking in your caption, and I won't miss it! 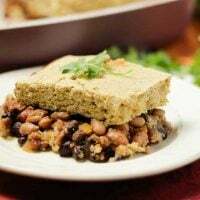 This low sugar, low-fat version of the traditional three-bean salad is sure to win you over and provide you with all the valuable fiber and nutrients in beans. In a separate bowl, mix the dressing ingredients with a whisk. Pour dressing over the bean mixture and stir to combine. 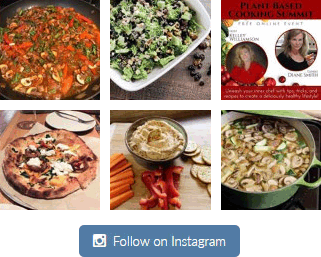 Serve on top of lettuce greens, as a side dish, or with a cold soup or rice dish.